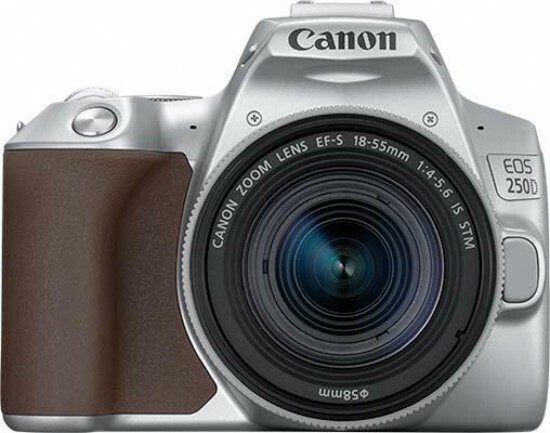 The Canon EOS 250D / Rebel SL3 is the world’s lightest DSLR with a moveable screen. Key features of the EOS 250D (Europe) and Rebel SL3 (USA) include a guided user interface for easy operation, a 24.1 Megapixel Dual Pixel CMOS APS-C sensor, DIGIC 8 processor, 4K movie capability, super-fast and responsive autofocus, and excellent connectivity to smart devices. In Europe, the Canon EOS 250D will be available in black, silver and white from 25th April 2019 for £529.99/ €599.99 body only and £599.99/ €709.99 for the body with a EF-S 18-55 f/4-5.6 IS STM lens. In the US, the Canon EOS Rebel SL3 will be available toward the end of April for purchase in black and white color options for an estimated retail price of $599.99 for the body only and $749.99 for the body with a EF-S 18-55 f/4-5.6 IS STM lens.